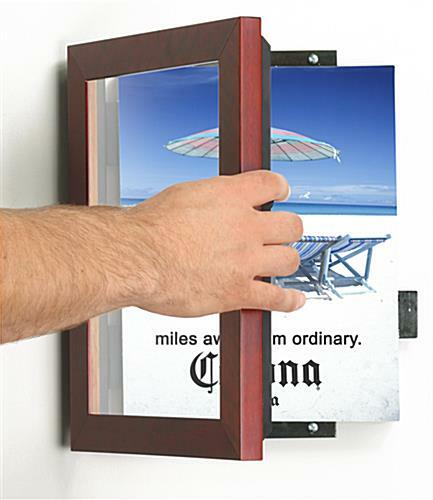 Swing Open Panel For Easy Sign Changes! 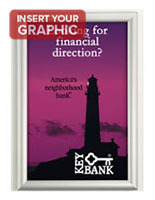 Holds 8-1/2" x 11" Signs Right From Your Printer! 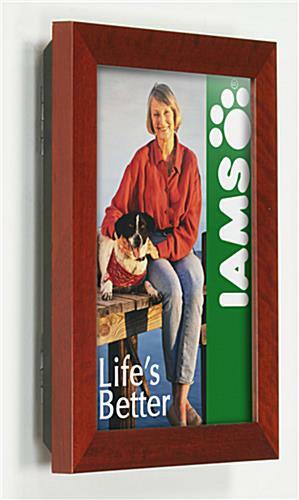 These wall picture frames are our most upscale sign holders. 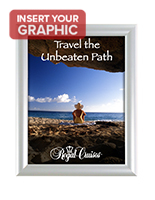 These wall picture frames, also known as deluxe sign holders, are the perfect display when top quality is your only option. 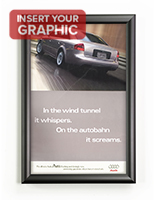 These wall displays are most popular in retail environments, bank & hotel lobbies and in sales offices. 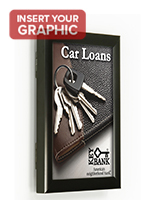 The standard 8-1/2"w x 11"h size allows you to display business signs and photos that are printed directly off your ink or laser jet printer. 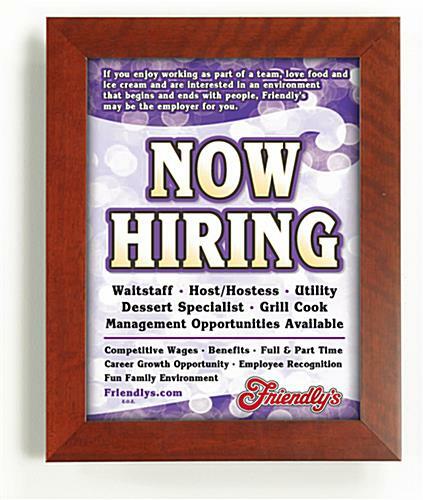 Sign and photo changes are as easy as swinging open the front panel, removing the old sign and attaching your new graphics onto the re-usable sticky tabs (included). The front door is secured shut with use of the patented gravity lock system (see inset image to the right). 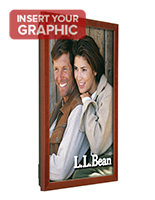 These wall displays, sign holders and picture frames are constructed from wood with a high quality cherry finish. 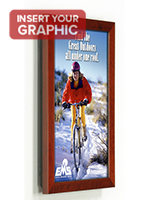 These wall picture frames have lightweight acrylic front panels allowing for a clear view of your signs or graphics. 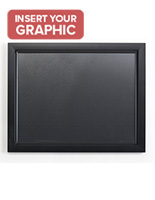 These wall picture displays are easily mounted using the included screws and anchors. 17.4" x 12.5" x 1.1"